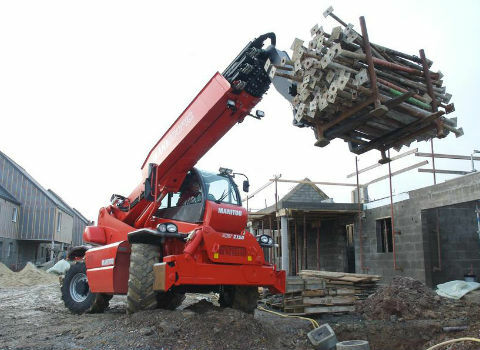 Telescopic handler Manitou MRT 2150 Privilege is the versatile machine used at construction sites for loading and unloading. 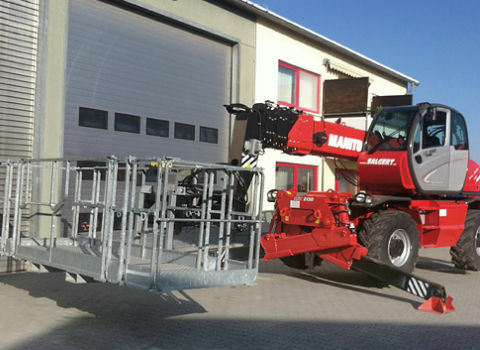 Manitou MRT 2150 Privilege has a number of advantages: extendable telescopic boom with adjustable tilt leveling, fairly large variety of attachments that are used depending on the type of works required, and maneuverable cabin with full-round observability, as well as an unprecedented lifting height - 20.6 m, - allowing to lift cargo for high-rise buildings and constructions. 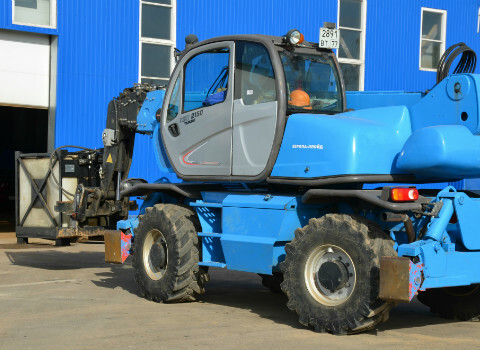 Two-speed hydrostatic transmission with automatic power control depending on the work executed provides good fuel economy, as well as the most precise maneuvering of the telehandler. 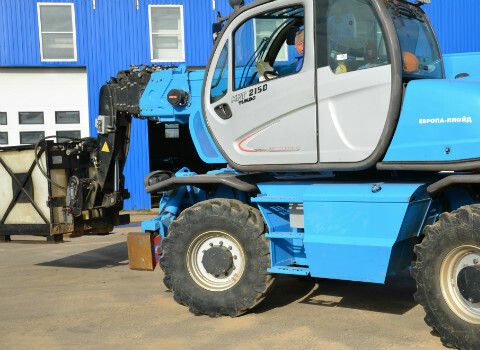 In order to increase security, the oscillating system of axle lock control is activated when the upper part of the telehandler is deviated of more than 15 degrees, which increases the allowable operating area for the loader. Spacious and ergonomic operator cabin is equipped with two electro-hydraulic joysticks that control boom pitch and reach. 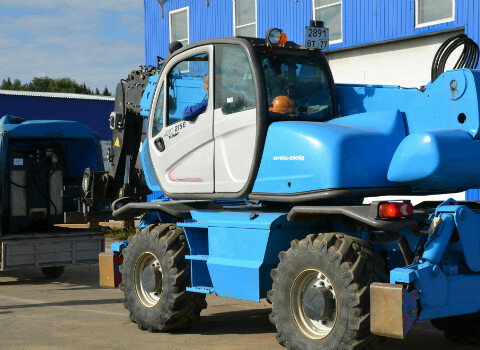 Joysticks also can simultaneously manage all the maneuvers of the telehandler. The location and the slope of the armpads, steering wheel and seat can be adjusted perfectly. For particular operator convenience, the reclining of the seat can be varied up to 13 degrees. MRT 2150 Privilege is also equipped with air conditioning and full lighting package, including working lights, sidelights, rotating beacons. All information concerning all the working systems is displayed on the LCD monitor. 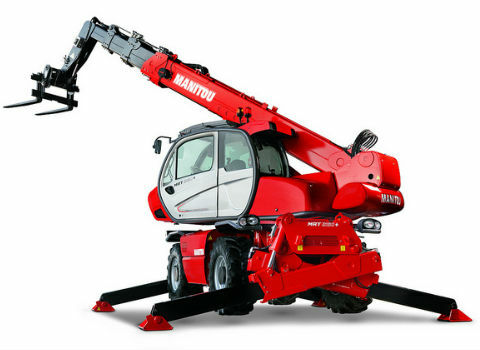 Special function allows storing information about maximum possible moving speed and boom reach, tilt angle, and much more that makes possible the use of the telescopic handler in various conditions. For even greater versatility and ease of use, an additional remote control function allows you to manage MRT 2150 Privilege while you are out of the cabin. 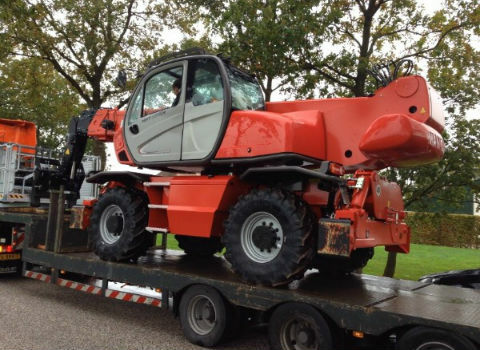 In order to improve safety and visibility, the loader operator is provided with the additional camera that shows the worst-visible areas of the telehandler and the surrounding working site. All the most important technical components (engine, air filter, battery, external hydraulic hoses, etc.) are easily accessible for maintenance and repair. The system periodically conducts technical diagnostics of its key parts and displays the results on the LCD monitor. 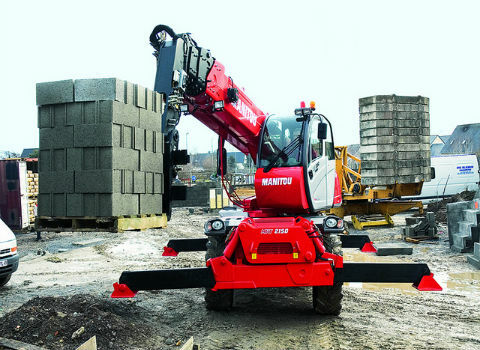 Telescopic handlers Manitou MRT 2150 Privilege are very well suited for working in confined spaces and provide unique solution for congested urban construction sites. 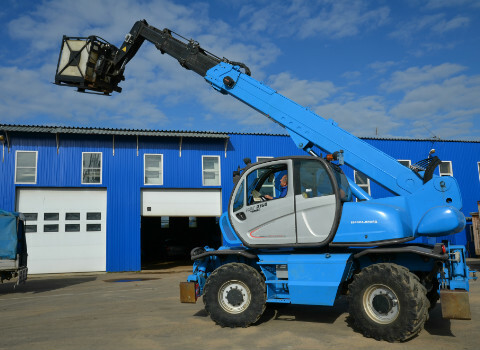 One such telehandler can substitute many others. Cost per hour1 000 rubles.